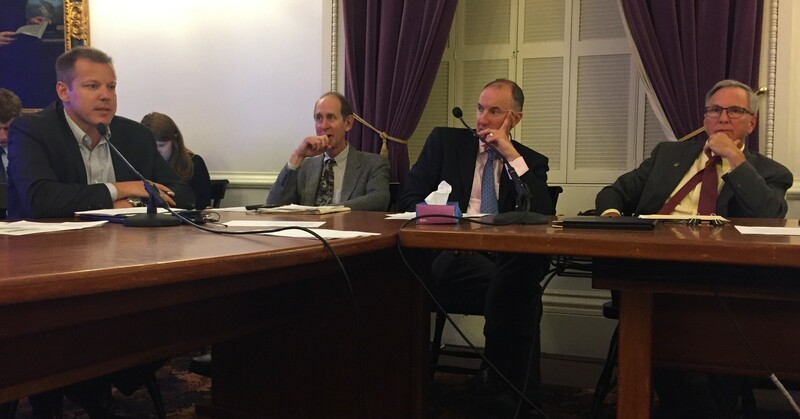 Officials in states that have legalized recreational cannabis think Vermont misstepped by not implementing a taxed-and-regulated market, Health Commissioner Mark Levine told a panel tasked with studying the issue. He spoke Monday during a Statehouse meeting of the Governor’s Marijuana Advisory Commission, which Gov. Phil Scott created by executive order in 2017 shortly after he vetoed a cannabis legalization measure. In January, Scott signed into law a bill that allows Vermonters to grow up to six plants at home and possess up to an ounce of marijuana. It did not legalize the sale or distribution of cannabis. The commission has continued its work, which one of its cochairs, Tom Little, said was to determine what a taxed-and-regulated system in the state should look like if the legislature chooses to create one. Its final report, due in December, will not include a recommendation as to whether Vermont should — or should not — create such a market, according to Little. The eight other states that have legalized cannabis allow, or will allow, licensed stores to sell the drug. And Levine, as chair of the commission’s education and prevention subcommittee, said he’d heard from officials in Colorado and Washington state who thought Vermont’s half-measure was a mistake. He added: "Their recommendation was: Go to tax and regulate." Levine also expressed concern that Vermont’s home-grow system would make it easier for kids to smoke dope. “What greater way for youth to access something than for it to be around,” he said. On the prevention side, Levine recommended that local Vermont communities adapt the “Icelandic model,” which the small nation implemented in the late 1990s to combat a rise in youth substance abuse: Create robust, structured after-school programs because young people are most vulnerable to getting into trouble between 3 and 7 p.m. 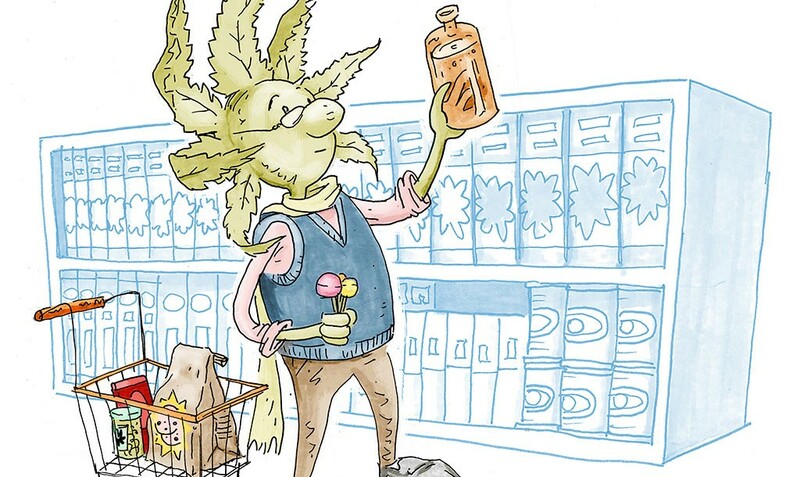 The health commissioner said his subcommittee would recommend, if sales were legalized, limiting edibles that come in candy form so as not to entice the under-21 crowd. Aside from Levine, the commission heard from Public Safety Commissioner Tom Anderson, who presented no new material but instead discussed recommendations his roadway safety subcommittee had made in January. One suggestion, that the state allow police to gather saliva samples from suspected stoned drivers, passed the House but died in the Senate Judiciary Committee. “As of right now, we do not have an effective way of testing drug-impaired drivers that operate motor vehicles on the roads of Vermont,” Anderson told the commission. Both Anderson and Levine’s departments would need funding for prevention and enforcement programs, money that would presumably come from new tax revenue. Tax Commissioner Kaj Samsom and his deputy, Craig Bolio, said Monday that Vermont could expect about $15 to $20 million in revenue if the state were to impose a 25 percent excise tax on cannabis sales. The revenue would depend on a variety of factors. The different subcommittees will need to estimate the amount of money they’ll need for their various programs, which will dictate a revenue target for the tax department. And the state will need to make sure its tax rate isn’t high enough that it drives consumers to the black market, which would presumably still exist in some fashion. It’s a delicate balancing act that would likely leave little for some areas of government that had hoped for a piece of the cannabis cash, Samsom said. Monday’s meeting made clear that there’s plenty of work to do before the commission’s final report is submitted December 15. Little encouraged the commission to wrap up its work shortly so a draft can be prepared and presented at public “listening sessions” to be held in November.